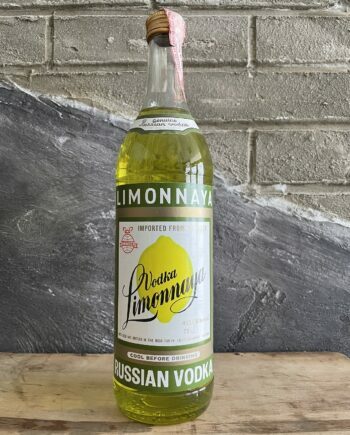 Limmonaya, produced in the USSR by the guys behind Moskovskaya: Sojuzplodoimport. This is a vodka which was distilled traditionally but, unlike regular vodka, blended with fresh lemon peels. This Moskovskaya was distilled and bottled in the USSR/CCCP for the West-German market in the 1980’s. Smirnoff Black ‘n’ Blue was launched around 2000 and remained in production until 2005 by when it was initially relabeled as Nordic Berries and eventually took the name Smirnoff North. Smirnoff Citrus is a citrus flavoured vodka, good for cocktails. This discontinued version contains a hefty 40% ABV, current versions have been downgraded to 35% ABV. Trump Vodka has become immensely popular after the 2017 election of Donald Johan Trump. The Vodka bearing his name was produced in The Netherlands by A.H. Wanders and available between 2005 and 2011, although it carried on in Israel for another year or so. This Zubrowka is estimated to have been produced at the end of the 1960’s. Zubrowka a.k.a Bison Grass Vodka has a unique flavour and is described as having woodruff, vanilla, coconut, and almond notes.